Your air conditioner is fitted with filters designed to strain out dust, pet hair and other contaminants. It can thus help purify the air and prevent a lot of problems from developing in your house. On top of the basic filter, you can also install a whole house filtration system that can include multiple additional filters and even a UV germicidal light in some cases. Here in Avon Lake, filtration systems can be installed by a number of qualified companies. But what benefits does such a system give you? Here are three reasons to install a whole house filtration system. Better health. A whole house filtration system provides a high level of air quality that can make a real difference in your family’s life. It can decrease irritation in the nose and throat and reduce the frequency of allergy attacks in vulnerable family members. This is especially important if you are expecting a baby in the home soon, or if you have elderly family members at home. A cleaner home. Your duct system can spread dust and dirt to every corner of your home, affecting your furnishings no matter where they are. An air filtration system will cut down on all that dust, making cleaning easier and helping to preserve your furniture. A more efficient air conditioner. Among its other uses, an air filtration system will help keep dirt off of your air conditioner’s inner workings, which will reduce friction and strain on moving parts. 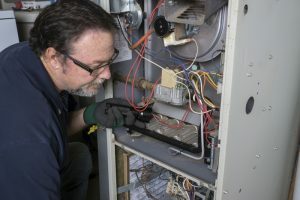 Not only does that help prevent repair, but it will improve the efficiency of your system, lowering those pesky monthly bills. 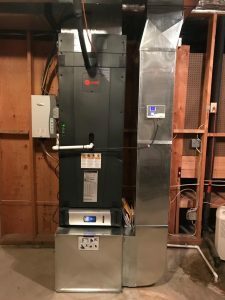 Filtration and other indoor air quality services in Avon Lake, OH are provided by the experts at Westland Heating and Air Conditioning. Our trained staff can discuss the reasons to install a whole house filtration system, then perform the operation with the professionalism and care you’ve come to expect. If you think such a system could be right for you, then pick up the phone and give us a call today. We won’t rest until you’re completely satisfied with our work and we’re eager to show you what we can do!